Fantasktic WordPress Site Migration Service Review - Worth The Price? 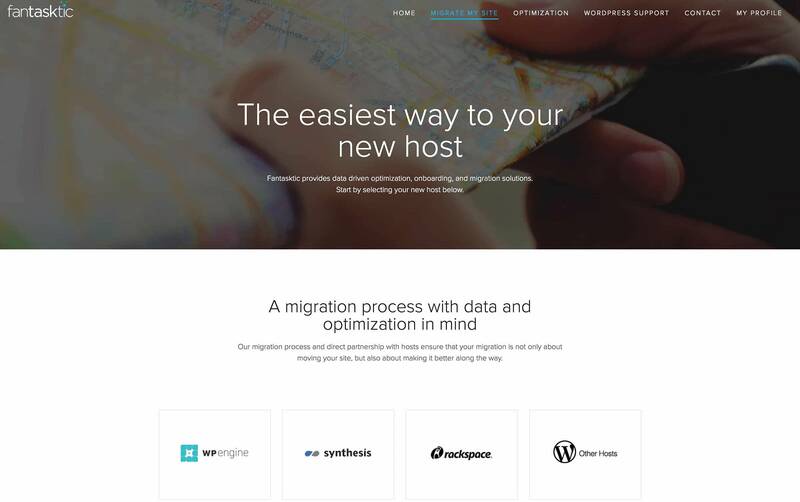 Fantasktic offers an affordable migration solution for WordPress users who want to switch hosts. WordPress is one of the easiest, most popular and highly customizable content management systems on the web, but there still are some difficult situations you may run into when running a WordPress site. One in particular that is usually a burden is migrating from one host to another. Depending on the new host you switch to, often time there will be no migration assistance available or only under the right conditions (such as when both hosts use cPanel). For someone who isn't knowledgeable on the server-side of things or those who have a more complicated migration due to current hosting conditions, this can be a big hurdle to jump. For someone who would rather take the stress out of migrating in exchange for spending a little money, a service called Fantasktic is available who vows to offer “the easiest way to your new host.” Their method is to provide data-driven optimization, onboarding and migration solutions for an affordable price. We recently decided to move from a Pagely VPS 1 to LiquidWeb's managed WordPress hosting (due to pricing and 24/7 support hours). LiquidWeb only offered migration assistance for their cPanel hosting, but since I went with their new WP dashboard, I was on my own. I didn't feel like taking on the burden of migrating the site myself (Pagely has some custom server configuration settings for caching/performance that I don't fully understand). Server-related knowledge is not my expertise, and I wanted the migration to be as hands-off as possible even if it meant spending a little extra cash for the piece of mind. While this review focuses only on our experience with their site migration feature, Fantasktic also offers separate services like WordPress optimization and support of which you can get more information on their website. Preview and approve migration – you have the ability to view the copied site on the new host and approve the migration before going live. 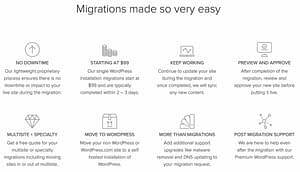 Move to WordPress – if you are currently running a non-WordPress blog or WP.com installation, you can have Fantasktic migrate to a new self-hosted installation. Post-migration support – if you need help with a particular WP-related issue or migration problem you discover down the road after your ticket is completed, Fantasktic will be available for additional assistance (though an additional cost may be necessary). For their migration assistance service, the pricing starts at $99 and will increase depending on migration complexity, website size, and priority (aka you need it migrated ASAP). In my case, this site was 27GB in size and required some additional work due to the complex caching system and implementation from my former host which resulted in changes to core files like WP-Config and several others that would have thrown errors if not sorted through and modified and removed. Due to this, I was quoted $149 which was fair given that LiquidWeb quoted me at $50 an hour for the first two hours and $99/hour after that. Satellite Optimization Report (free) – Free plugin install that will pinpoint problem areas in your site's performance that need to be improved. You can do this step without their help by downloading and installing the plugin yourself. Satellite Optimization ($159 with 20% off if part of migration) – Their satellite team will use GTMetrix.com, Google PageSpeed and Satellite.fm plugin to review and optimize site performance. Go Live: DNS Update ($100) – if you are unsure how to make DNS changes, you can let the Fantasktic team make the necessary changes for you to point your domain over to the new IP though for a costly fee considering the simplicity of this process. Priority: Expedited Migration ($99) – Put your migration into the front of the queue and expect it to be completed in 24-36 hours. Update WordPress Core & Plugins ($99) – Run a full update of your WP core files as well as plugins to ensure your site stays working correctly. E-commerce Migration ($49) – if you have a site running any e-commerce plugins such as WooCommerce or any e-commerce integration, you must pay extra via this add-on. Domain Name Change ($49) – change the domain of a migrated site to a new one and ensure everything is properly updated to result in a smooth transition. With an event like a WordPress server migration, customer support is a enormous concern of mine to ensure everything is going smoothly and you have a support team to rely on if you have questions or aren't satisfied with the completed migration. We have a 100% guarantee. You aren’t happy just let us know and you will get a refund no questions asked. Obviously once the site is migrated and completed successfully our team may inquire why you’d like a refund but otherwise we promise to deliver a fully migrated site or you get a full refund ???? Any other questions let us know. Considering this removed much all of the risk out of the decision, I went through with the migration quote and paid them $150. While I'll discuss the exact time-table of the Fantasktic migration process in the section below, the service is monitored through a ticketing system that will notify you via email when progress milestones are made, and you can respond to the ticket with questions or concerns should they arise. Now the site transferred over without a hitch, and I was impressed at how smooth the transition went. While they did miss the deadline by a day and then the resync added another day before the DNS could be switched over, I was more than satisfied with the service and consider it money well spent. 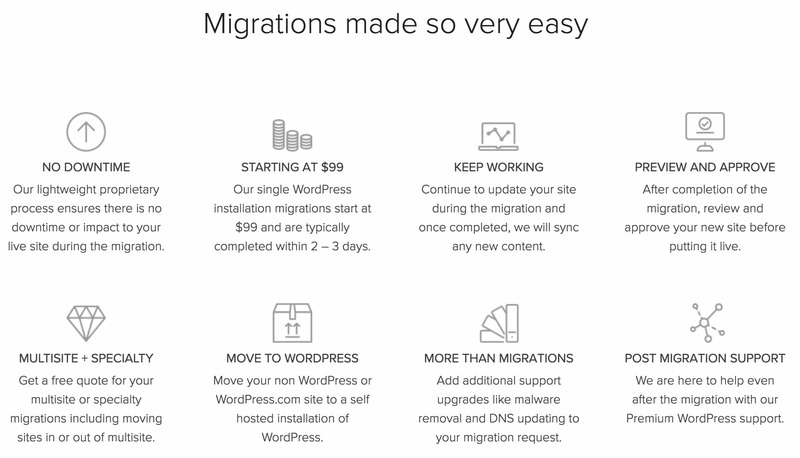 Fantasktic's WordPress migration service proved to be a worthwhile investment, and the process was affordable, straight-forward and hands-off. Those who are server-savvy or have the time to initiate and follow along a self-guided migration might see the expense as unnecessary, and that makes sense should you be capable of doing it yourself without too much work. This is an ideal solution for those who don't know their way around the back-end of a server or have to deal with a complex or enormous WP install that would be stressful to carry out on their own. If you are worried about switching to a new host that doesn't offer assistance, then Fantasktic's migration support is a great solution to check out. This website is fully supported by our readers via limited display advertising and affiliate links through retailer partners. Rest assured, our content is written for consumers by consumers. We will never mislead you or give you a false recommendation to chase a potential commission opportunity. We put a lot of time, effort and expertise into producing the best content we can for your benefit and we hope you find it as helpful as we have intended it to be. 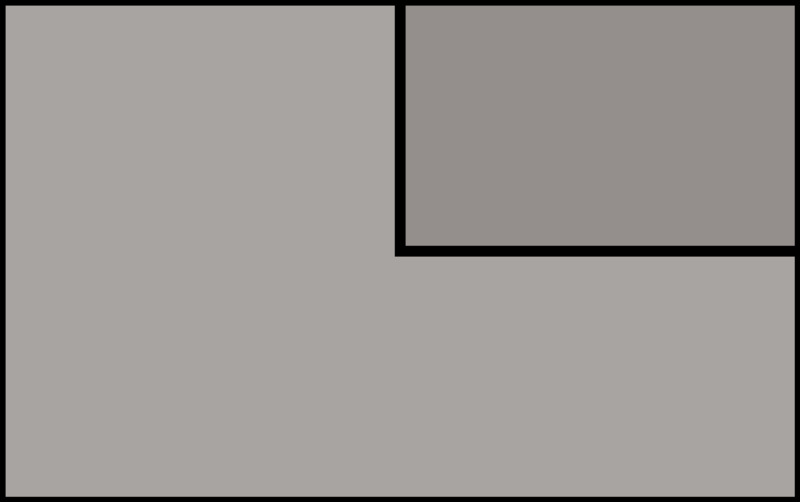 Copyright 2018 © TheTechReviewer.com - All Rights Reserved.